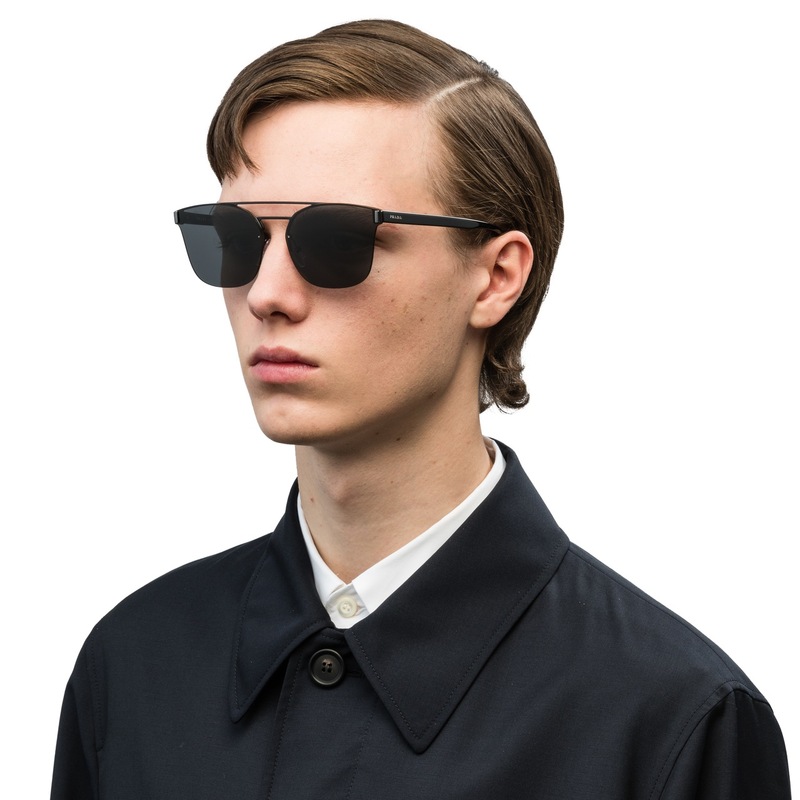 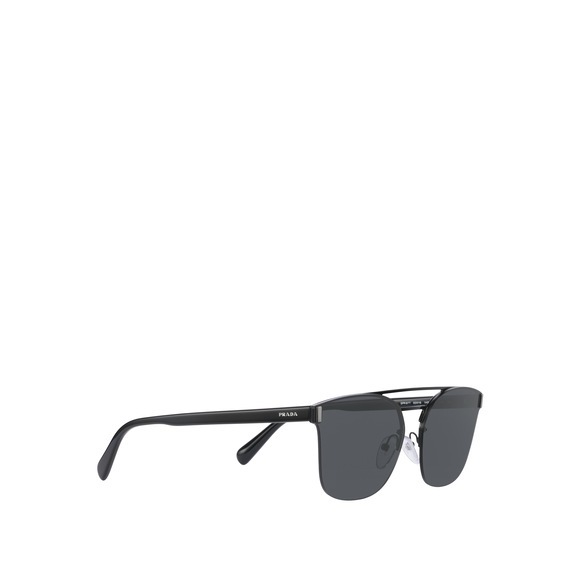 Sleek, modern square frame. 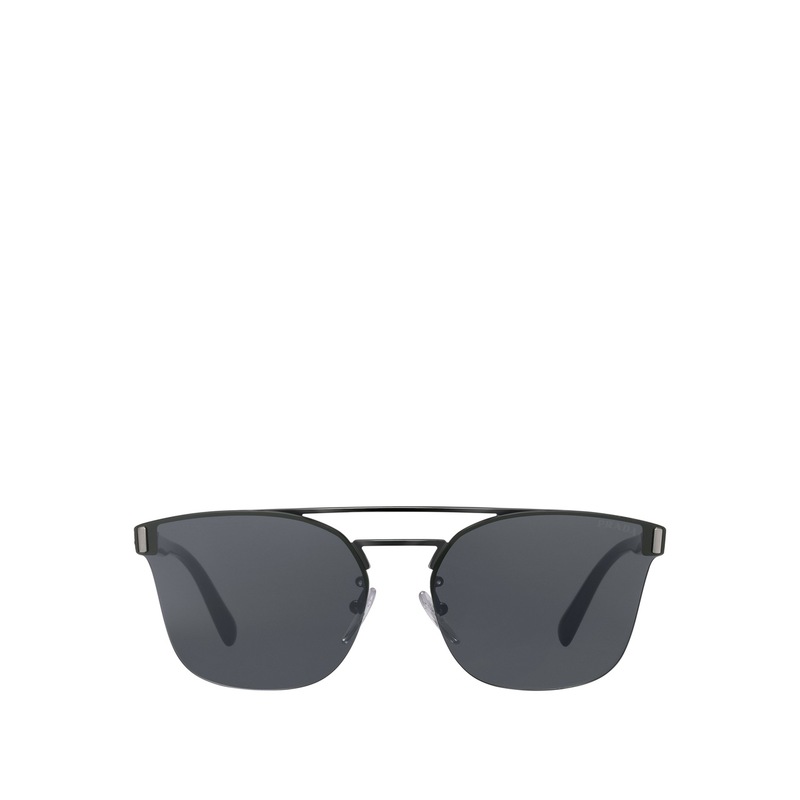 Flat rimless lenses supported by a slim metal brow bar with distinctive double bridge. 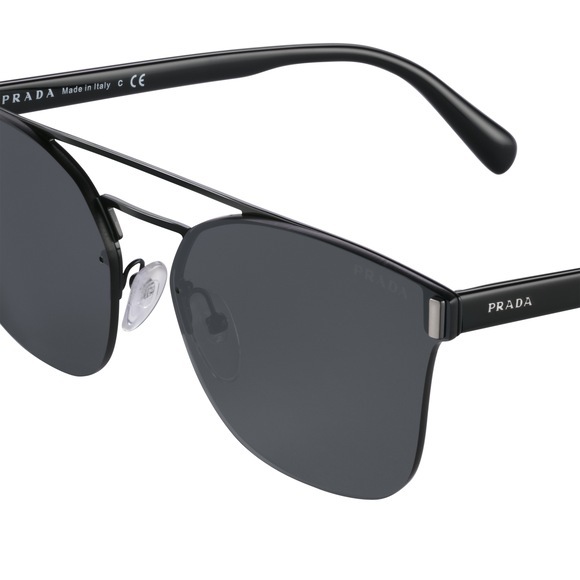 Sleek acetate temples with Prada lettering logo.